Happy Friday Eve, y'all! I can't believe the weekend is upon us. This week has flown by! I have been so busy these days, I'm behind on my shopping, however, that hasn't stopped me from making a list of a few products to try. I've been in search of some new hair products lately and these items are at the top of my list. Have you tried any of them? I've heard such great things about this product and I can't wait to try it. I can definitely benefit from some keratin! Again, I've heard nothing but great things about this product. And as a matter of fact, it has 72 five star reviews at Nordstrom. That's gotta account for something, right? I've actually had this product in my repertoire before but for whatever reason, I never used it much. I've decided to give it another try to see if it makes a difference. A heat protectant is always a great idea, right? Any thoughts on these products? I plan to give them all a try. I'll let ya know what I think! Have a great Thursday, dolls. 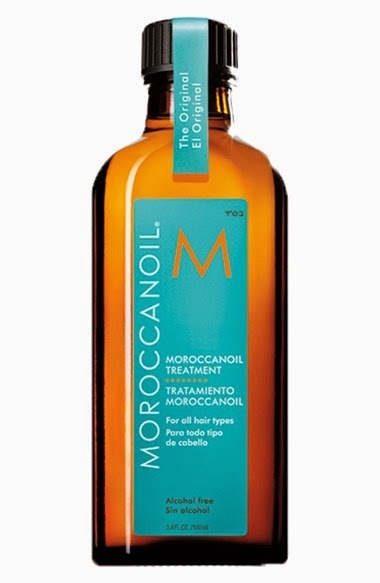 I use that Moroccan Hair Oil and it is such a great moisturizer.